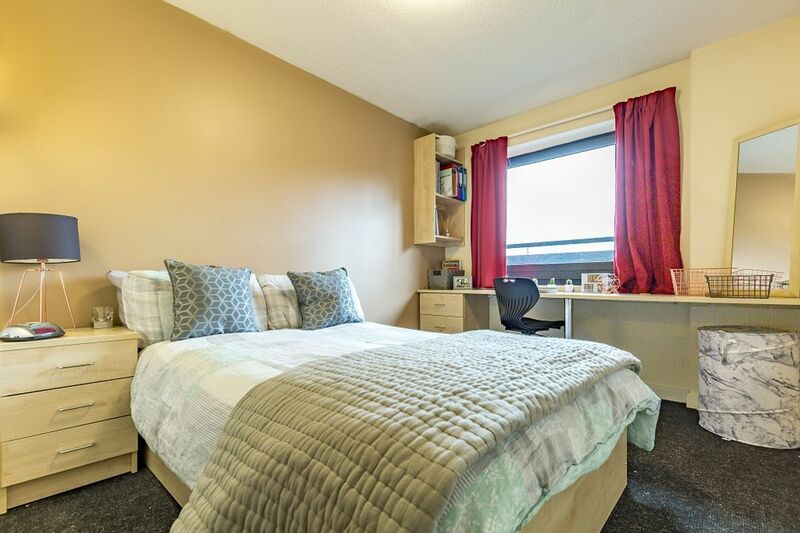 Live within easy reach of Sheffield Hallam University and even closer to the excitement of the city centre. Experience the thrill of seeing your favourite band live at O2 Academy, or admire famous international artworks at Graves Gallery. Hop on a tram and head to the shopping paradise of Meadowhall mall, then wander back along the banks of River Don to scenic Victoria Quays. Whatever your interests, The Pinnacles is the perfect base for exploring all that Sheffield has to offer. 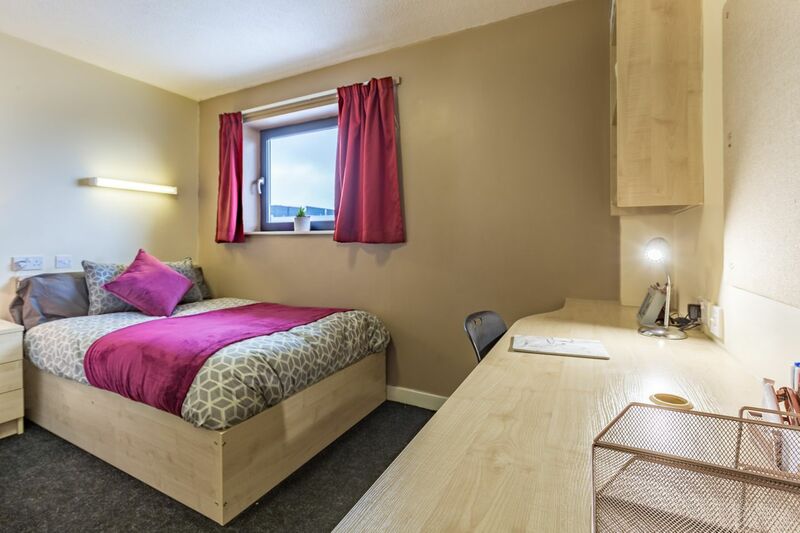 The Pinnacles is a 15-minute walk from Sheffield Hallam University, making it easy to come home between lectures and study in the comfort of your own room. You’re also well-connected to University of Sheffield, 30 minutes away by bus. Best of all, the museums, theatres, galleries and public parks of the city centre are only a 10-minute walk from your front door. 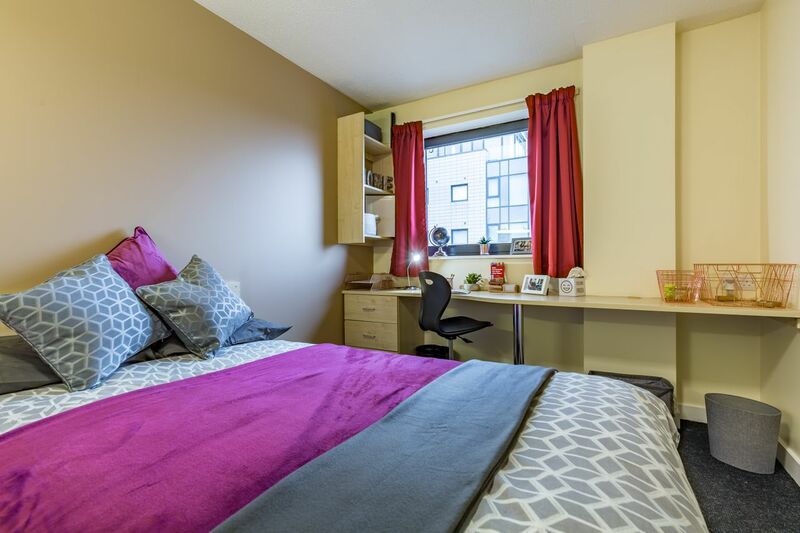 At the end of a long day in class, unwind on your comfy queen bed, or take a hot shower in your spacious ensuite bathroom. There’s a neat study space in every room, where you can revise for that end-of-term test in peace and stay up as late as you need to get your assignments finished. Make the most of The Pinnacles’ free Wi-Fi, either as a helpful research tool or to keep in contact with friends and family. When it’s time to take a break, you can catch up with your flatmates over dinner or chill in front of your favourite TV show in your shared living area and kitchen. Brush up on your ping pong skills in the communal games room, or even organise a movie night using the property’s projector. There’s an ATM and laundry onsite, and a shop where you can pick up any essentials you might have forgotten during your weekly trip to the nearby Tesco supermarket. All-inclusive billing makes it easy to keep track of payments, and gives you peace of mind by covering contents insurance as well. We couldn't find a room that matches your preferencesView all Private Room in The Pinnacles. 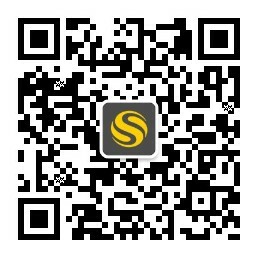 1.Before signing the contract, students can cancel their booking. 2.Once they have completed and returned the Tenancy Agreement, they will be liable for the full term of the contract.